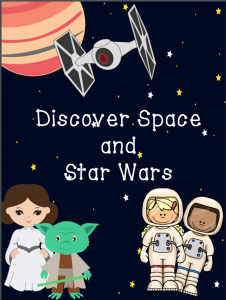 Are you a parent or teacher looking to engage your child in fun learning activities? We have all been there, we get frustrated and want to throw in the towel. What if you could breathe new life into your family or classroom’s day? 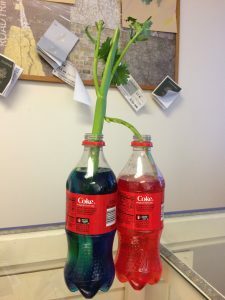 Here at Reading Escapades we have been educating students for eighteen years and have created thematic units based on our children’s interests. 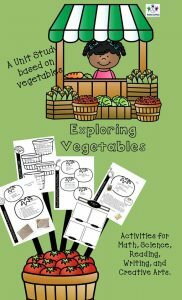 This 34 page Vegetable Unit Study, includes reading, math, science, creative writing, and handwriting activities. It is perfect for multi age classrooms or homeschooling families. We have learned that children need to express themselves creatively. For this reason, each thematic unit includes Creative Arts activities. 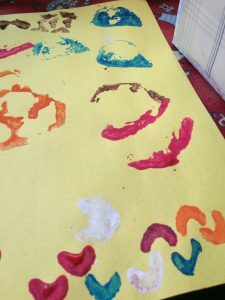 These activities include art, music, and dramatic play. Here we have you make vegetable stamps and we go over some favorite vegetable songs with hand motions. These creative arts activities will keep your child entertained and learning for hours. Here we go over vegetables from all over the world and what their nutritional value is. Ready to have fun with your kids? 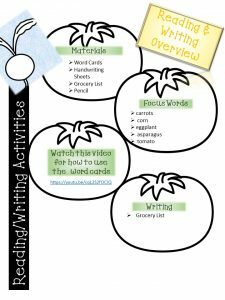 Click here to purchase this unit and our other fun, educational packets!